Match It! 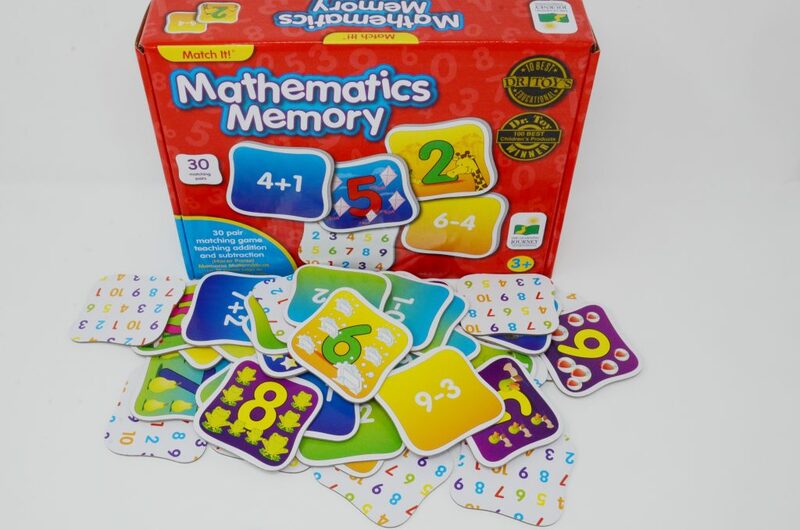 Mathematics Memory game is a fun memory game that will challenge problem solving and develop memory skills. The object of the game is to find a pair of matching cards that complete the equation. This product is recommended for children ages 3+. Gain early math skills – introduces early math skills including number recognition and basic addition and subtraction. By matching the sum to its answer, the child gains an important understanding of mathematic fundamentals, all aided by the pictures which provide a helpful clue. Boost memory skills – requires the child to remember the location of previous puzzle pieces so that they can match them up to form the correct match. They can actively boost their memory while having fun! Learn together and boost social skills – learning together while playing games makes learning a fun, collaborative experience. Improve focus– Playing the Memory game competitively can provide an extra boost of focus, encouraging children to concentrate on the task at hand while they play. Successful matching provides a huge boost of self-esteem to reward that focus. 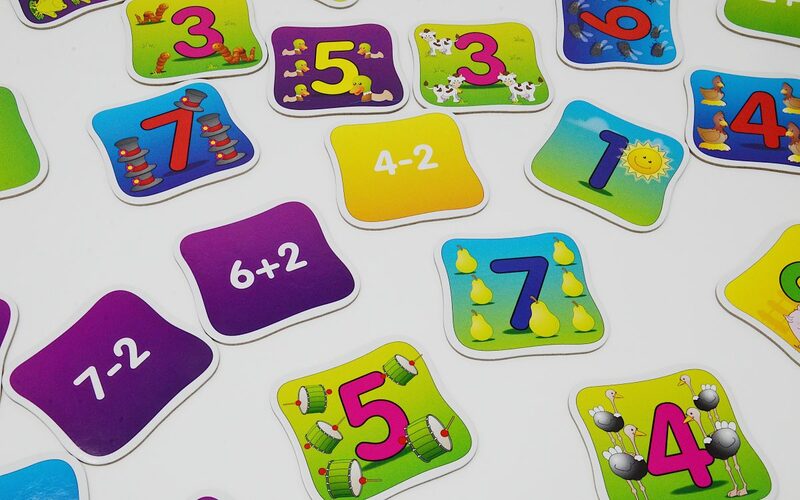 Encourage confidence – this math game is a friendly and enjoyable introduction to the basic skills your child needs before moving on to more complex mathematics. Playing this game can help any child to feel more positive and confident when approaching literacy tasks. 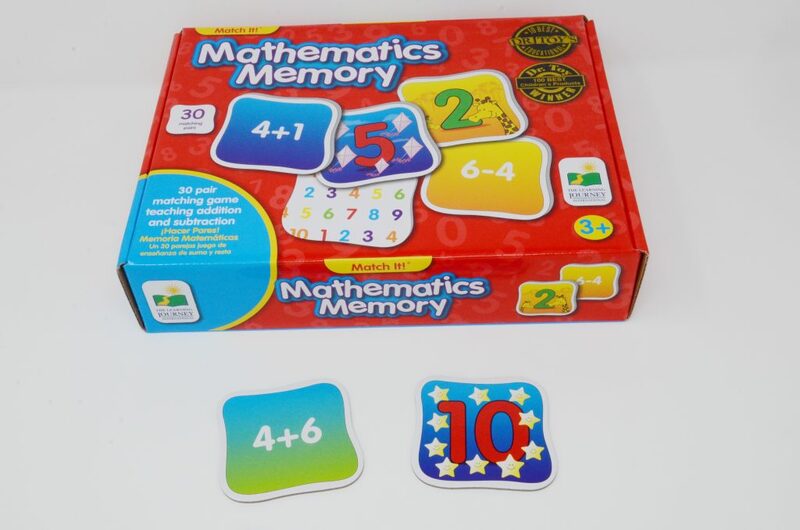 Mathematics Memory game is a great product for any child that enjoys math.The product includes bright and colorful illustrations that will help children learn basic addition and subtraction. This game is recommended for ages 3 years and older.